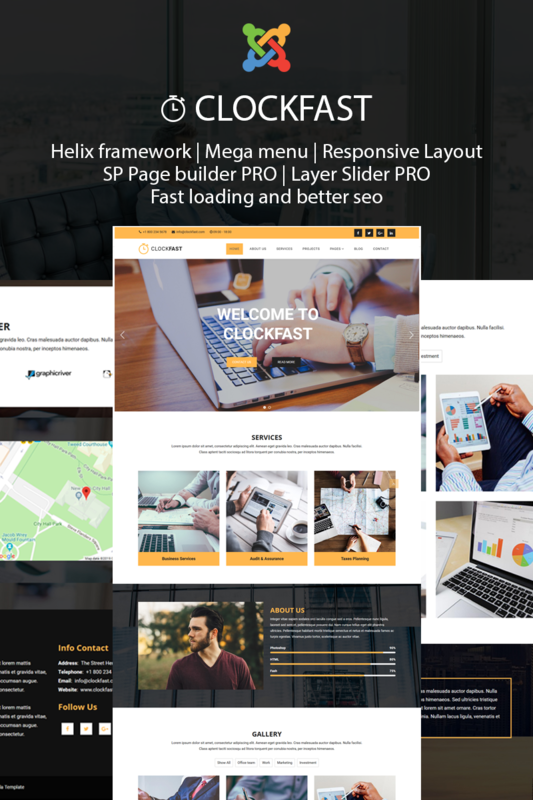 ClockFast is a joomla 3.9.x website template that is use for any type of business websites, you can make portfolio also. This website is for small business page template, A business website needs is provided by a ClockFast template. Based on Helix framework with SP Page Builder PRO + Layer Slider (both included as free so you don-t need to buy other licence to use them. )+ Owl Carousel.